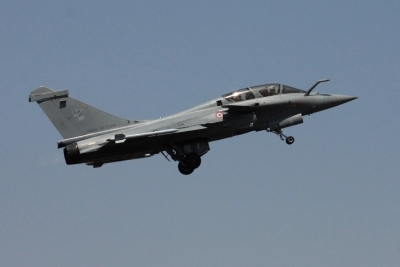 New Delhi, Feb 13 (IANS) Going by inordinate delays in realization of defence contracts, the deal to buy 36 French Rafale fighter jets broke speed records, a report on Wednesday by the Comptroller and Auditor General indicates. The CAG noted that against the three-year period fixed by procurement rules for completing deals, four Indian Air Force contracts, out of 11 scrutinized, took more than three years and seven cases fructified in more than five years. The fastest was the Inter-Governmental Agreement (IGA) with France for the purchase of 36 Rafale jets which took 24 months. The deal for 126 Medium Multi Role Combat Aircraft (MMRCA) was hanging for 180 months. The contract for 22 Apache attack helicopters was signed after 105 months and it took 113 months to buy 15 Chinook heavy-lift helicopters. Even staid equipment like purchase of doppler weather radar took 96 months. The negotiations on price after clearing all the layers of the acquisition process also took months. The MMRCA price negotiations went on for 48 months. It took more than 26 months to finalize the price of Chinooks. The CAG noted that the acquisition process could not effectively support the Indian Air Force in its operational preparedness and modernization.